Nine years ago Michelle and I walked into a tiny oval in Asheboro, North Carolina to spend a day at the track with a group of complete strangers. It was an awkward, uncomfortable day in the hills of North Carolina that afternoon. 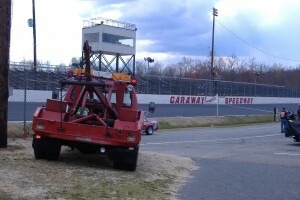 The race cars were different than anything we knew and there was not a familiar face in sight. Yet strangely, we immediately felt at home. Nine years ago we set out with a mission to illuminate Christ and perpetuate love in this community of strangers. We had no idea that nine years later this community of strangers would become our closest and dearest friends. We had no idea the lessons we would be taught about life, community, friendship, love and God through the NASCAR Whelen Southern Modified Tour family. It has been a long and hard nine years. Michelle, Micah and Kaleb have sacrificed in unbelievable ways as we have served this community. We’ve walked through mountains and valleys with our friends over the past nine years. We’ve celebrated new life and laid to rest some very dear friends. We’ve cheered on new relationships and struggled through broken ones. We’ve laughed and we’ve cried. We’ve fought for what is right and licked our wounds when things were wrong. We wouldn’t trade a day of the last nine years with our modified racing family. Relationships like the ones we now hold are only forged by doing life together. Experiencing the highs and the lows together. Embracing the tensions and the conflict together. They are relationships that span time and distance and endure change. And change does require endurance. Change is a challenging word. Sometimes change means the unknown. Sometimes change means discomfort. Sometimes change means challenge. Sometimes change means farewell. Change is inevitable. That is what makes this one of the hardest blog posts I have ever written. After nine years of pursuing Christ and making Him known in the NASCAR Whelen Southern Modified Tour the 2015 season will be one of change. While we are full of excitement about what the future holds, we are also full of sadness because we know it means we won’t be with the family we have become a part of on a regular basis anymore. Over the past nine years we’ve had other opportunities to move on, but God was not leading us then. In 2009 I was even faced with the prospect of losing one of my other jobs if I continued with the NASCAR Whelen Southern Modified Tour community…and I chose you all! I was not willing to move on if it was not God directing me elsewhere. This pursuit has never been about me, but about obedience to God’s leading. So this year, when God began to lead us we chose to follow. In 2015 I will begin serving alongside MRO’s national series Chaplaincy team, serving the NASCAR Camping World Truck Series. Just as I walked into the modified family 9 years ago, in February I will be walking into Daytona International Speedway with the same empty slate. We are full of anticipation about following God in this community. I hope you know this is not goodbye. We have plans to visit a few times during the 2015 season and I look forward to following each of you through your careers. 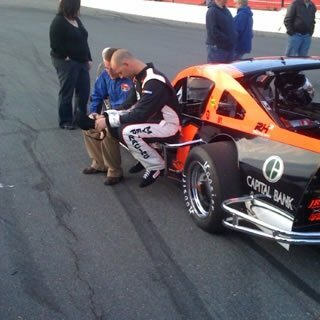 In the near future I will also introduce you to who will be stepping into the NWSMT family next year in our place. 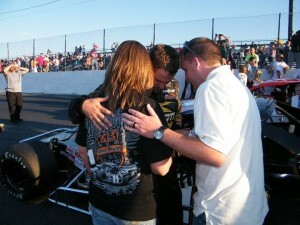 Each and every one of you within the NASCAR Whelen Southern Modified Tour community are family. We have been through a lot, and I cannot tell you how special each of you are to us. I am thankful that God allowed us to spend the past nine years becoming friends with you. In the end, I pray that over the past nine years you have been able to tangibly experience the love of Christ through our time with you all. If you haven’t come to know Him as your personal Savior I hope that you will sincerely consider doing so. I love each of you. I am never more than a phone call or email away.